When the art market followed the credit markets into hibernation, the sector that was expected to evaporate was Contemporary art. 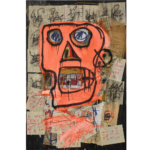 But with the Impressionist and Modern sales in London finding a consolidation point high above the 2010 lows, and Contemporary art having experienced a strong rebound of its own, next week’s London sales should establish some important set points for second half of 2010. Contemporary Art has proven much stronger than most observers imagined but is there lasting strength beneath the biggest names?